Saint Marks Church is a beautiful and popular venue for weddings however other churches within the parish may also be chosen. 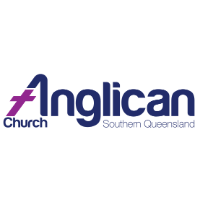 The service is always held according to the Rites of the Anglican Church of Australia and requires that it be celebrated by an Anglican priest. Marriage can be entered into at any time of the year except in Lent – the six weeks prior to Easter Day. You are required to be over 18 years of age and if previously married need to provide evidence of nullity or dissolution. A minimum of 30 days notice is required by the government however in practice at least three months is required for preparation and in busy times such as Spring and Autumn St. Marks is often heavily booked. Contact the parish and we will send you the necessary application forms and an information package. Church and government require that all persons entering into marriage undergo some form of preparation. Parish clergy are available for marriage preparation which involves a formal question and answer process followed by evaluation of responses and counselling where necessary. Currently the cost is $750 which includes marriage preparation, legal documentation, and celebrant, preparation of the church, church bells and the organist. A deposit of $100 is required to secure your booking.